As people are forced to travel extensively and on longer distances in a shorter period of time, the idea of buying a car seems to be more appealing by the minute. There are lots of reasons why you should think about purchasing a car whether new or used. Investing into a car will give you the advantage of enjoying a degree of comfort that is impossible to achieve in the normal means of transportation (bus, subway, tram, etc.). Not to mention that you will save up on the long term, especially if you purchase a used car. It is widely known that a car loses its value from the moment it goes down the gate of a car dealership. What factors influence your decision when buying a car? When you have decided that it is better to invest into a personal car rather than complicate your life in different other ways you should move on to the next step. This means that you will need to consider the factors that influence a decision of this type. 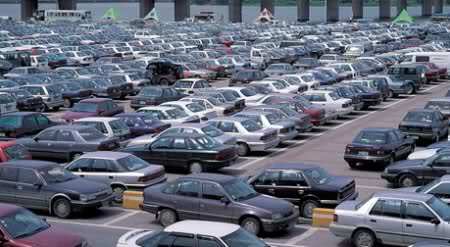 The market of used cars has developed greatly during the last few years. The reasons for this are quite obvious: a used car has a more affordable price, it comes with a warranty, you can choose from literally thousands of models and you can take it for a test or why not, rent it for a few days before purchasing it. You must admit that the scale is pretty much in your favour! If your lifelong dream was to own a convertible, then you might make this happen if you live in a warm climate. But if the cold and snow are your best friends then you should leave the convertible for someone who lives at Hollywood. Speaking of selecting the right type of car model, you should have a realistic vision on your daily life and needs. If you are a mother of 4 and you have a lots of duties, choosing a Cellica would be just wrong. Getting the help of a specialized person can save you from taking a bad decision that can cost you a lot on the long term. And the good news is that when you purchase a used model you have a variety of options from which to choose so you will be sure that the sales person won’t try to force you to buy a specific car. Another important factor that should be considered is whether you want to opt for an electric car, a petrol/diesel or a hybrid one. Surely, the electric and hybrid vehicles are for those who are passionate about helping the environment. On the other hand, those who focus more on speed and horsepower choose to work with petrol/diesel versions which never disappoint. The battle between manual and automatic gear should also be taken into account when selecting a used car. While the manual transmission uses less fuel and gives you more control over the car, the automatic transmission uses a bit more fuel, but it is easier to use. With the help of the right company you can make the best selection in terms of purchasing yourself a car. Hertz Rent2Buy is a great example of a company that helps its clients select the proper car for their needs, in a convenient manner and without any hassle. Their motto is ¨Choose it. Try it. Buy it.¨ so you can be sure that everything will be taken care of. You just have to take your pick and let someone else do the hard work for you! How does that sound?